This will be a work in progress. 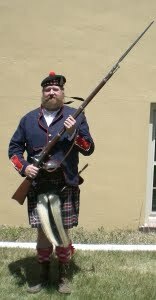 The 79th Highlanders are over 25 years old...we'll get the details in due course. The early group was a transformation from a buck-skinners / mountain man group. 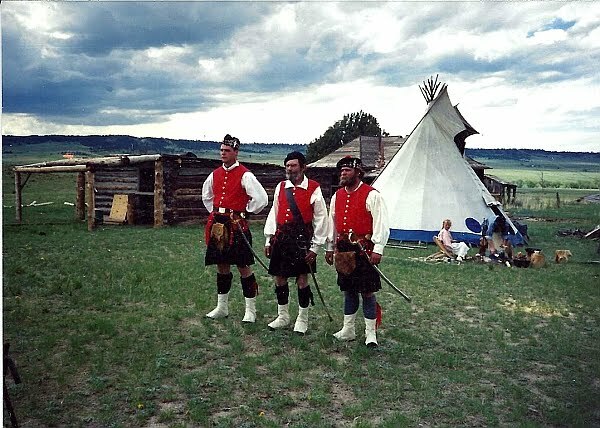 Originally having kilts of the Black Watch tartan and red vests, it had more in common with an early rendition of the 42nd Highlanders instead of the 79th Highlanders. 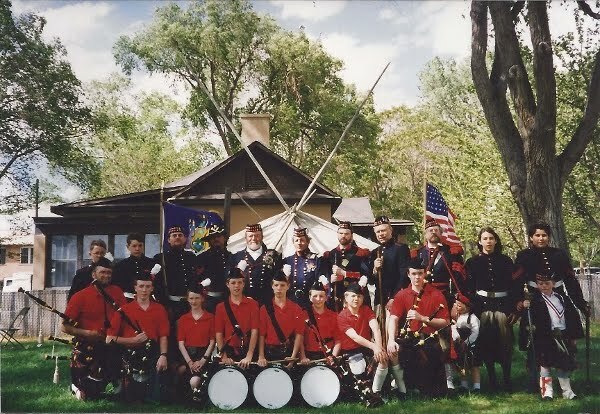 But the 79th New York Regiment (Highlanders), was a "kilted" regiment in the American Civil War, part of the American Army, and part of America's history. It was a group that had good spirit, an avid interest in history, and was very generous and helpful. Rendezvous near Sylvan Lake, near Eagle, Colorado. Late 1980s. Rendezvous in the Bijou Basin, eastern Elbert County, Colorado. Late 1980s. Chris Lewis is on the right. 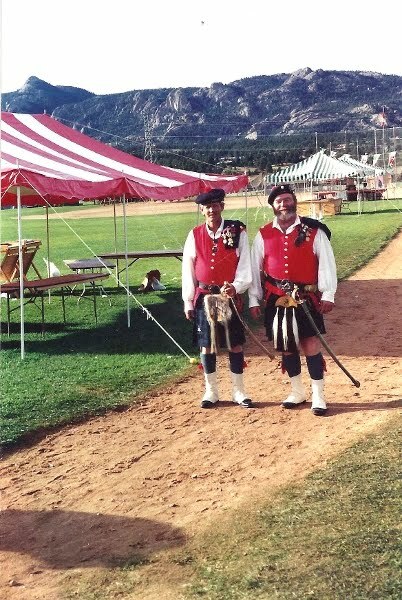 Cliff Kelly and Jim Campbell at the Estes Park Highland Games, late 1980s. 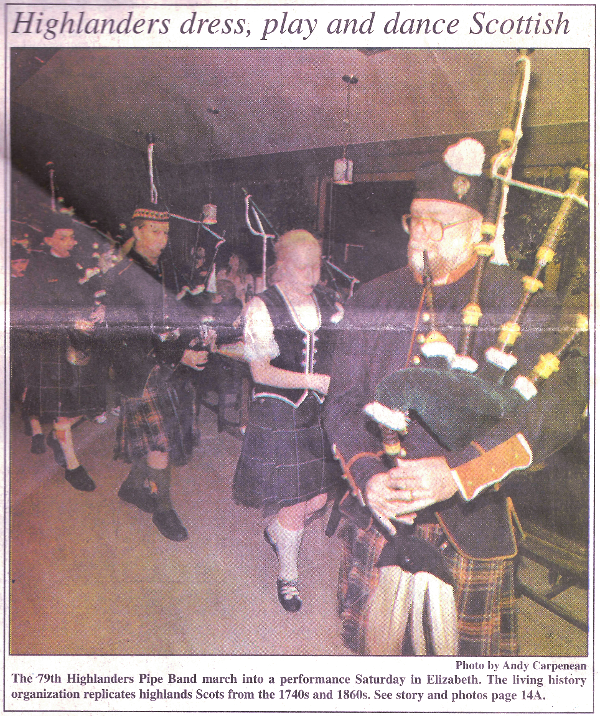 With members of the Colorado Youth Pipe Band. 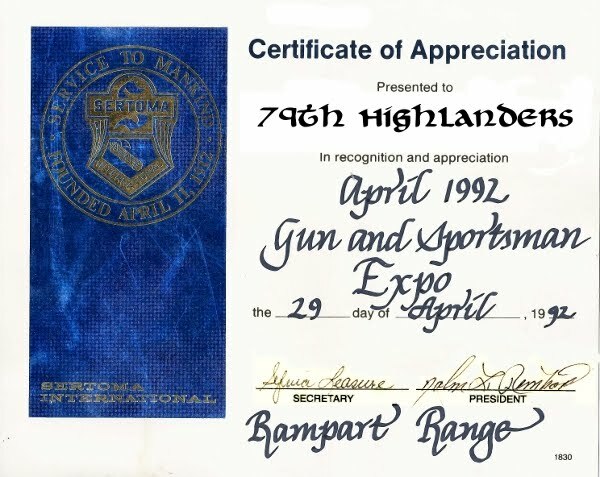 which often was "re-branded" to serve as the "79th Highlanders Pipe Band." more than any other Scottish organization. That record of support still stands to this day. 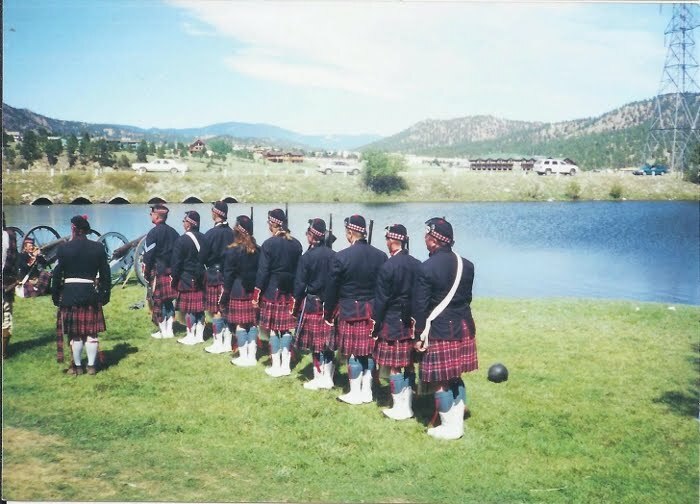 Leading the "band" is Neil Gillette (current P/M of the 79th, then the Director of the CYPB), followed by Meredith Douglas-Moore (CYPB Pipe Major in 2001-2003, and was last year at Colorado Springs with the 79th). from the sidelines). Behind Ian, is Tristan Solome. 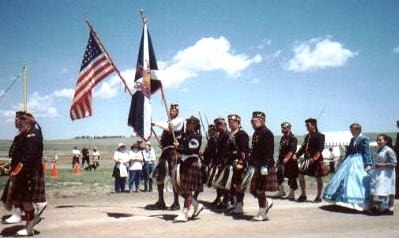 Grand Junction Celtic Festival and Highland Games, September, 2000. 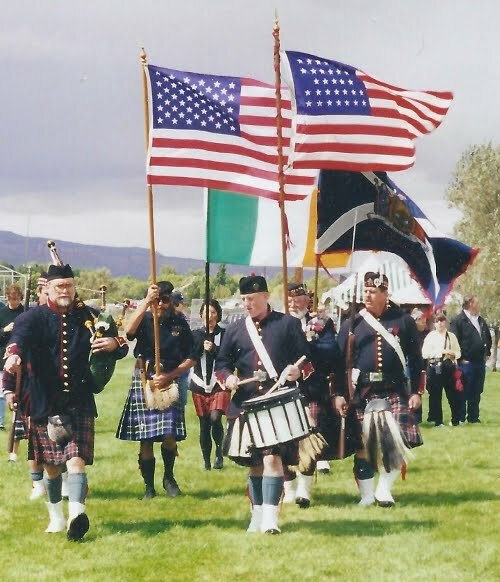 The 79th Highlanders Color Guard leads the way in the Massed Bands and Opening Ceremonies. when it ceased. It was a good event to go to and be part of. ...we actually had snow in the air in mid-May. 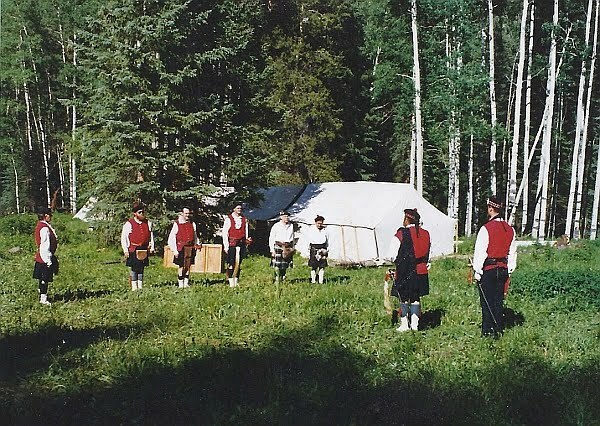 Longs Peak Scottish-Irish Festival (Estes Park, Colorado), September 2003. A memorial for departed member, Les Roe. Firing a salute, in memory of departed member Les Roe. 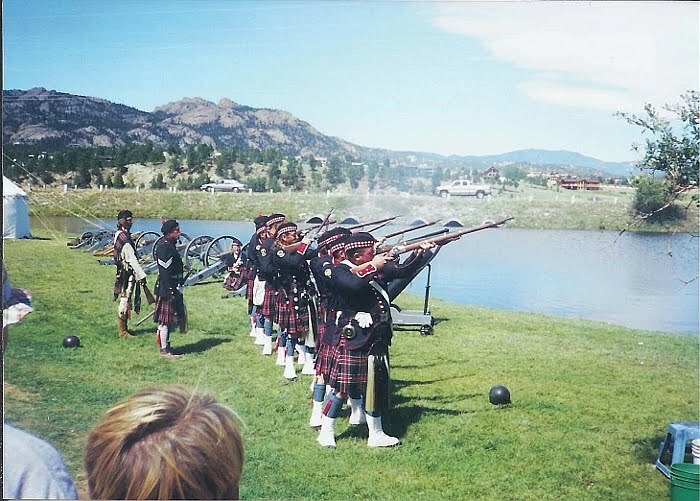 Longs Peak Scottish-Irish Festival, Estes Park, Colorado. 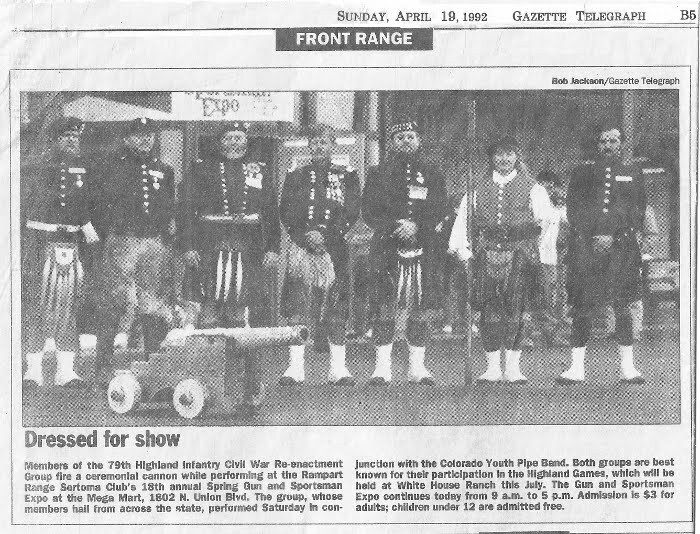 September, 2003.
along with part of our Civil War Display Camp members. Jake Stephens (left), ready for bayonet drill. Stay back, he has a long reach! 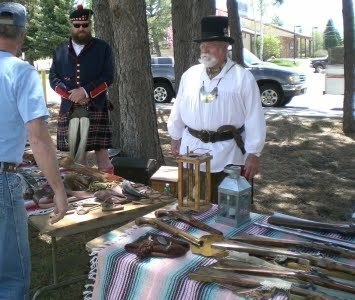 Jim Campbell with an array of historic-replica firearms, weapons and equipment from the nineteenth century.